Brazilian artist Erika Verzutti’s work is often characterized by a sensuous presence of touch and a back-and-forth play between representation and abstraction. In Medusa, elemental gesture marks show where the artist’s fingers have pressed and smeared the material (which is ultimately cast in bronze). Verzutti uses titles to offer the viewer one — out of many — associations she sees in the work. 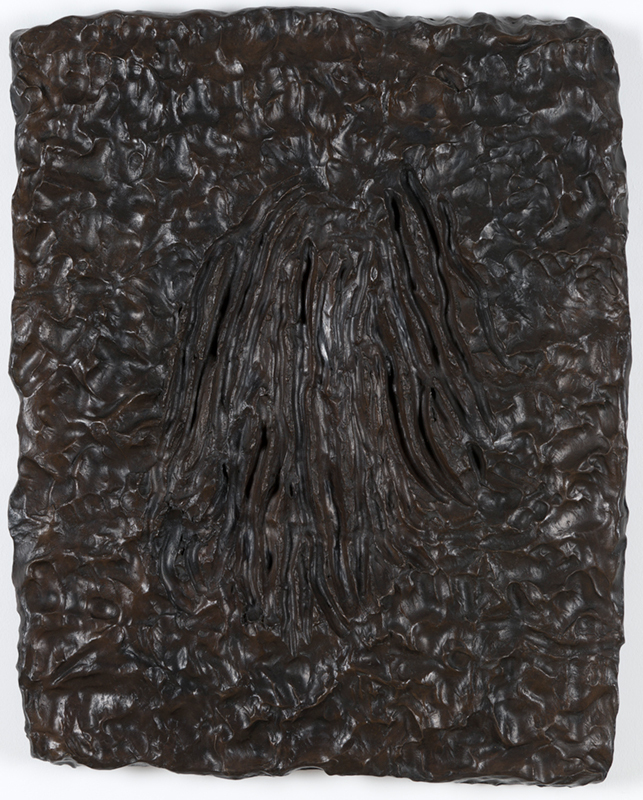 In this case, the mound of wavy lines conjures an image of Medusa’s snakey hair, though the work could just as easily function as an expression of the artist’s experience with the tactile qualities of the material. Verzutti recently participated in Viva Arte Viva, the international art exhibition at the 57th Venice Biennale, curated by Christine Macel (2017), as well as the 32nd Bienal de São Paulo (2016). Verzutti’s work is held in the collections of the Centre Pompidou, Paris; Carnegie Museum of Art, Pittsburgh; the Guggenheim Museum, New York; and Museu de Arte Moderna de São Paulo, among others.